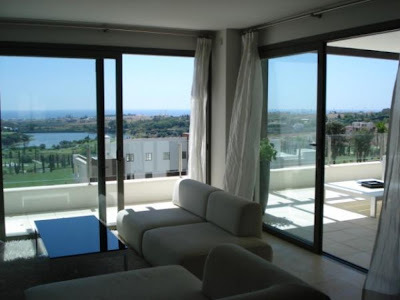 Are you looking to rent directly from the owner, then Spain-holiday.com offers holiday rentals in Marbella Spain. There are spanish holiday villas and apartments, townhouses, cottages and country homes for rent - all for your perfect vacation in Marbella. You can search through more than 50 vacation rentals in Marbella, all self catering holidays in Marbella! Look for a luxury villa for rent in Spain! Resort of minimalistic designed apartments situated front line to one of Marbella´s popular golf courses offering a amazing view down the golf valley to the Mediteranean Sea. Open architecture, horizontal lines and great glass facades gives these apartments a very unique impression. Sublime high quality all-over; luxury fully equipped kitchen, beautiful bathrooms with floor heating and whirlpool bath, fireplace in the living room, air conditioning hot & cold, SAT TV, preinstallation ADSL, surround sound system, domotic system, alarm etc. Each dwelling will have 2 private underground parking and 1 store room. Big communal areas with tropical gardens and swimming pools will be situated with direct view to the golf course. Walking distance to club house and restaurant. 10 min drive to Puerto Bánus and the centre of Marbella. 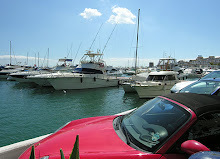 Marbella is the exclusive area of Costa del Sol. Costa del Sol is Europe's California. Nowhere in Europe will you find better climate, good infra structure, and over all better life quality. This is what makes Marbella so attractive! Driving along the beach, the sun is shining and the view is only interrupted by the occacional palm tree. With 300+ days of sun, never too warm and never too cold. It sounds like a dream, Nirvana within reach. Oh well, there are "snakes" here too. Many shops close in the middle of the day. The old mayor who bought a football club on his salary was corrupt. Many from the old town hall are now behind bars, or out again after serving time. This doesn't change what we are here for. We are here to enjoy life in the sun. Nothing stops that!